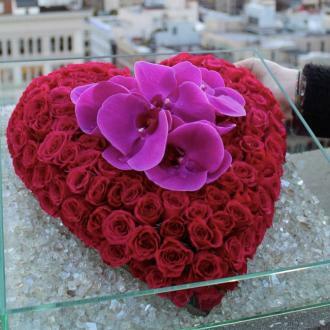 Bethenny Frankel has receded roses in a heart shape from a secret admirer ahead of Valentine's Day (14.02.19) and has gushed about there being ''love in the air''. 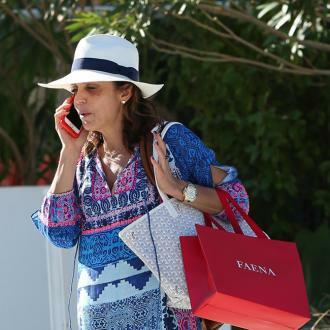 Bethenny Frankel is feeling the ''love''. The 'Real Housewives of New York' star started dating film producer Paul Bernon two months after the tragic death of her on-off boyfriend Dennis Shields last year, and she recently took to Instagram to reveal she had been sent red roses in a heart shape from a secret admirer ahead of Valentine's Day (14.02.19). Meanwhile, things seem to be hotting up for the couple after they spent New Year's Eve together in Mexico. The reality star enjoyed a romantic getaway with Paul and his kids and her eight-year-old daughter Bryn in Playa del Carmen to ring in 2019. Bethenny had a tough 2018 after the passing of Dennis and admitted she found it ''hard to breathe'' following his death.